Making popsicles from scratch is always on our summer bucket list and now that the kids are older, one they handle on their own. These popsicles have it all over the ones at the store, with real-food ingredients like coconut water kefir, coconut milk, and diced mango. They’re a cool and creamy summertime treat that we absolutely love! 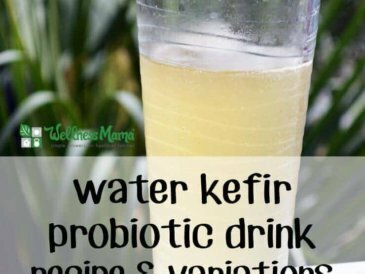 Kefir is a fermented beverage made by adding milk kefir grains to milk or water kefir grains to water. 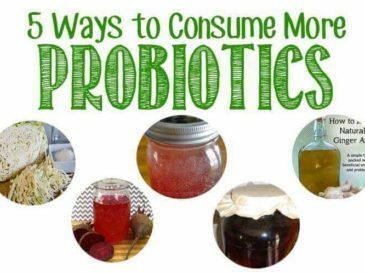 The kefir grains (actually a culture of symbiotic bacteria and yeasts) consume the sugar and create a tangy beverage full of probiotics and enzymes. 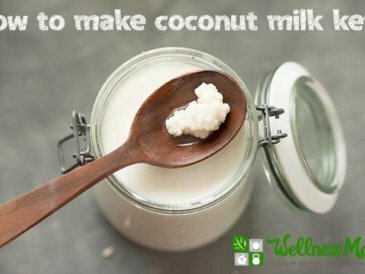 You can occasionally use your milk kefir grains in nut milks or your water kefir grain in coconut water, as this recipe does. Don’t do it too often though, because it’s not an ideal environment for your kefir grains. If you don’t already have kefir grains, the wonderful people at Kombucha Kamp can set you up with everything you need. The two main types of mangoes available around here are the large green/red Tommy Atkins mangoes and the smaller yellow oblong mangoes called Ataulfo. The large mangoes are a little more fibrous, but still sweet and yield a lot of fruit. Ataulfo mangoes are less fibrous and have a creamy texture and sweet and tangy flavor, but aren’t always as easy to find. Again, the important thing is to make sure they are ripe before using. Mangoes need to be peeled before using. (Be careful: once peeled they are really slippery!) In the center of each mango is a large, flat, oval-shaped pit. I find it easiest to slice two large slabs off either side of the fruit along the flat side of the pit. Then I trim off some scraps around the edge of the pit. Kids love to nibble the rest of the mango left on the pit. Making homemade popsicles really is so easy that the kids often do it themselves. 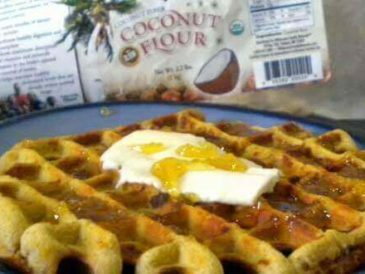 Whisk together the ingredients in a bowl, pour into molds, freeze, and done! These are my favorite molds for the job since they don’t use plastic. The kefir fermentation process takes a little time, especially if you need to activate dehydrated kefir grains. If you don’t have kefir already made and want the full benefits of these healthy popsicles, plan ahead and wait a couple days to enjoy these popsicles. A quality kefir from the store may do the trick, but check the label as these often have a lot of added sugar, defeating the purpose of making healthy popsicles in the first place! 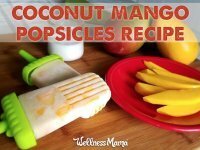 Of course if it’s a hot day and you’re ready to whip up a batch of coconut mango popsicles now, you can use the coconut water without the fermentation step. Just be aware the sugar content will be slightly higher and the popsicles won’t have the same probiotic benefits. But there’s always next time! Coconut milk kefir popsicles with chunks of mango are a cooling and creamy summertime treat. Cover with a cheesecloth and rubber band to keep out ants and fruit flies and allow the coconut water to ferment at room temperature for 24 hours. After 24 hours, strain the coconut water kefir into a medium-size bowl, setting the kefir grains aside for use in other recipes. 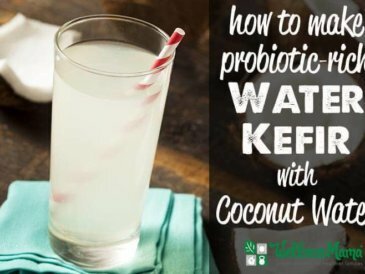 Whisk the coconut milk, coconut nectar or honey, and vanilla into the coconut water kefir. Stir in the diced mango. Spoon the mixture into popsicle molds and put on the lids. 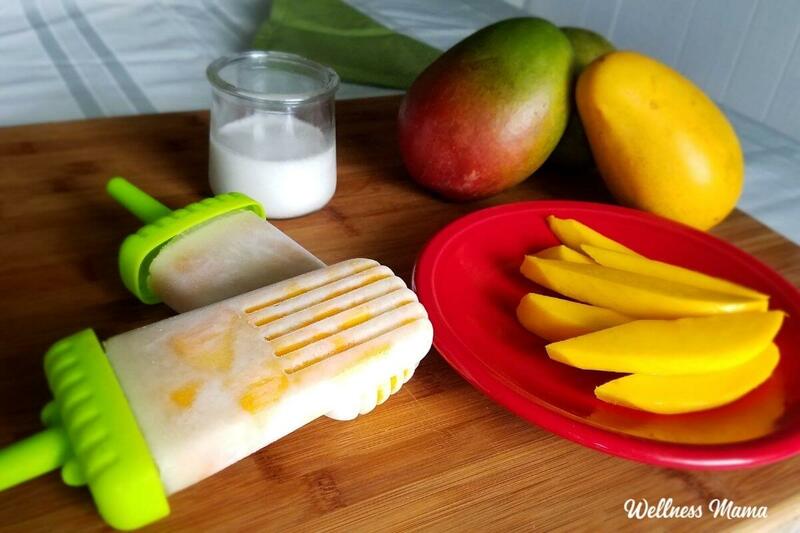 You can use either fresh or frozen mango for this recipe. The recipe calls for 4 cups of diced mango, which is the same as two of the large mangoes or three of the smaller Ataulfo mangoes. If you're a kefir-making newbie, don't toss your kefir grains after straining them! 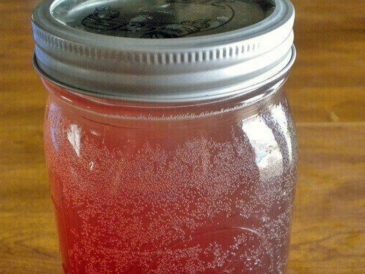 They can be used over and over to make water kefir. If you don't have/want to use kefir, simply make these popsicles without the fermentation step and the tablespoon of sugar. The popsicles won't have the probiotic benefits, but they will still taste great! Do you have a favorite summertime treat? Let me know below!